On a Friday night, one of my students was hit by a car while riding her bike home from class. Fortunately, she walked away with just a few bruises. This incident was par for the course as we live in a city, Arlington, with no public transit and limited dedicated bike lanes. Those without automobiles are forced to take their chances in a car-oriented environment, where housing and services are spread far and little walkability exists. Given the size of Arlington—its population is around 400,000—this lack of resources is quite unbelievable. Areas such as this can be described as transit deserts and result from the suburban and low-density built form that favors the automobile. These outer urban areas have not offered adequate public transit to support economically viable employment or access to social and cultural networks. Determinants of transit deserts include how far one must walk, the time it takes to access transit, and suburban physiographic conditions. 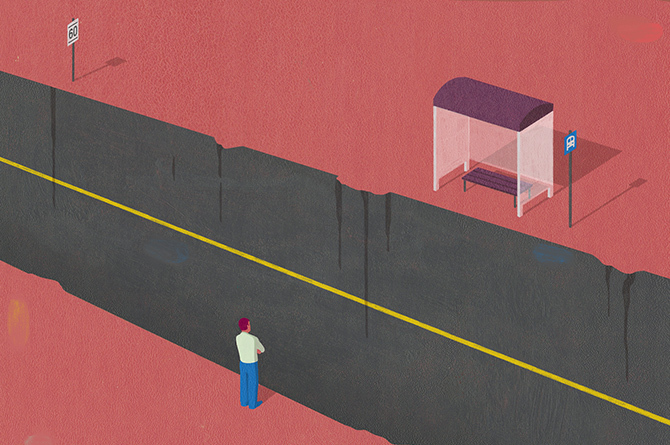 There are several reasons communities become transit deserts. They are often areas of low development with economic and demographic shifts. Currently, the redevelopment of cities and urban revitalization projects occur in inner urban areas and downtowns. A result has been the displacement of populations that are heavily dependent on transit to outer-urban areas with decreased transit availability. Often, little thought has been given to the fact that these shifted residents are being displaced to auto-oriented communities with minimal or nonexistent public transit. Ms. Daigle, a native New Orleanian, who lives in a residential complex in New Orleans East, sits in her apartment and tells of the trials she faces getting to work using public transit. "In 2005 I was staying in the East, and I had to walk from the I-10 Service Road to Lake Forest Blvd. in the dark. I had to come out from the Service Road to Lake Forest Blvd. at 11:00 p.m. at night, so I quit my job because it was too dangerous. After Katrina, I moved back in the East, and I have to walk again from the Service Road all the way to Lake Forest Blvd. I leave out of my house at 4:30 in the morning to catch the 5 a.m. bus, and that is dangerous. The bus picks me up about 5 a.m. I get to Canal Street at about 5:25 a.m. Then I have to wait on Canal Street for the Streetcar to go to the end of the line to get to my job." Safety and the danger involved in waiting long hours for transit in the dark are reccurring issues in Ms. Daigle's accounting. Transit usefulness mostly lies in the design of the network, its response to urban form, and ridership demand. Transit technologies and systems should be selected for their ability to maximize the personal mobility of the entire community. They must become a necessary component of sustainable and equitable cities. Diane Jones Allen has established a national reputation by bridging practice and research in transportation access, sustainability, and environmental justice. 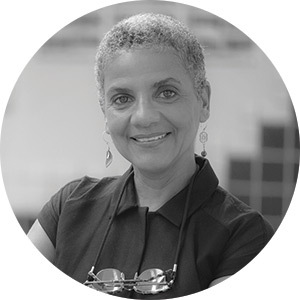 She has over 30 years' experience in successful practice and was recognized by the American Society of Landscape Architects for community service in 2016. UTA is garnering accolades at a record pace. Here are just a few of the latest.